The Juno mission, arriving at Jupiter in July 2016, will help to solve the mystery of what’s inside the giant planet’s core. Projected launch date is August 5, 2011. Jupiter and Earth just had a close encounter–and it was a good one. In late September 2010, the two worlds were 31 million km (about 19 million miles) closer than at any time in the past 11 years. Soaring high in the midnight sky, Jupiter shone six times brighter than Sirius and looked absolutely dynamite through a backyard telescope. Planetary scientist Scott Bolton of the Southwest Research Institute isn’t satisfied. “I’d like to get even closer,” he says. Bolton will get his wish in July 2016. That’s when a NASA spacecraft named “Juno” arrives at Jupiter for a truly close-up look at the giant planet. Swooping as low as 5,000 km (about 3,000 miles) above the cloud tops, Juno will spend a full year orbiting nearer to Jupiter than any previous spacecraft. 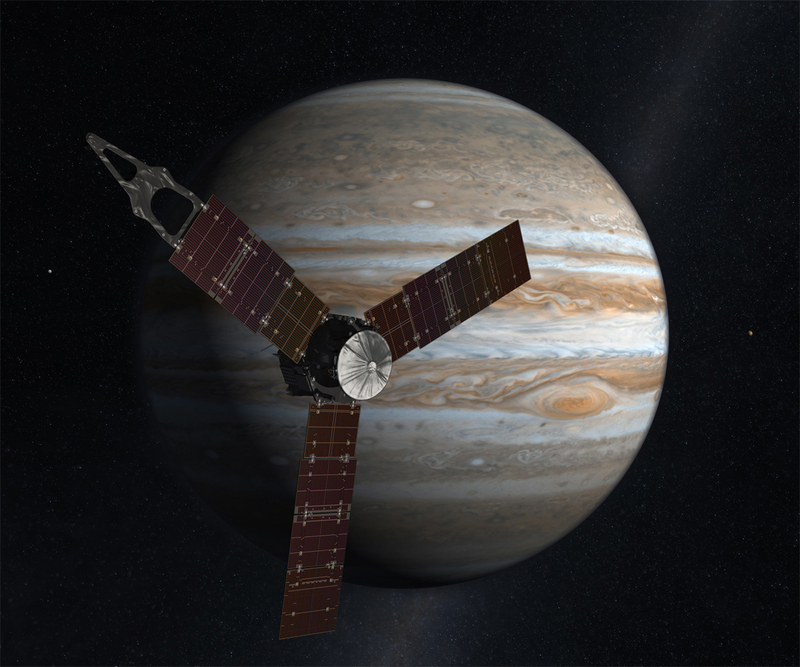 Find out more about the Juno mission at http://www.nasa.gov/mission_pages/juno. Play the new Solar System Explorer super game, which includes the Juno Recall mini-game at http://spaceplace.nasa.gov/en/kids/solar-system. It’s not just for kids!